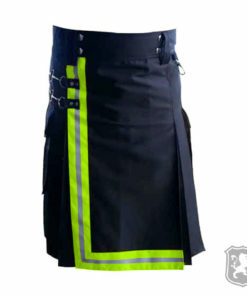 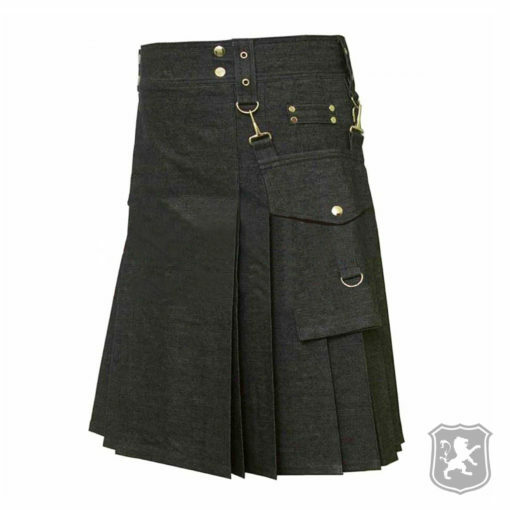 The Men’s Denim Kilt With Detachable Pockets is a kilt that we made specially for people with hard and tough jobs. 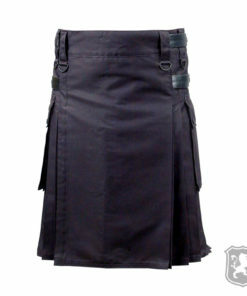 It is made out of denim fabric with two detachable pockets on the side. 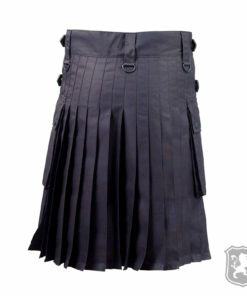 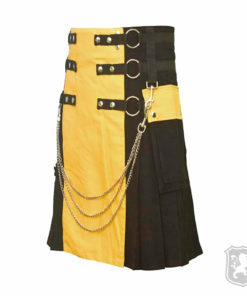 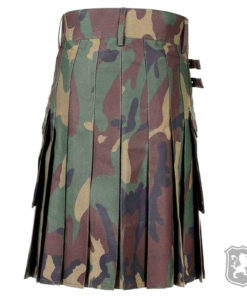 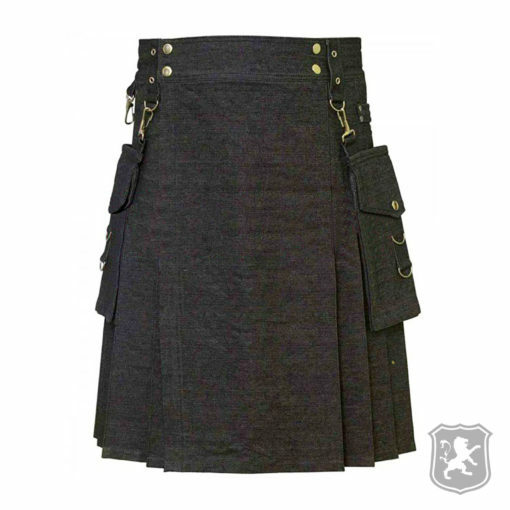 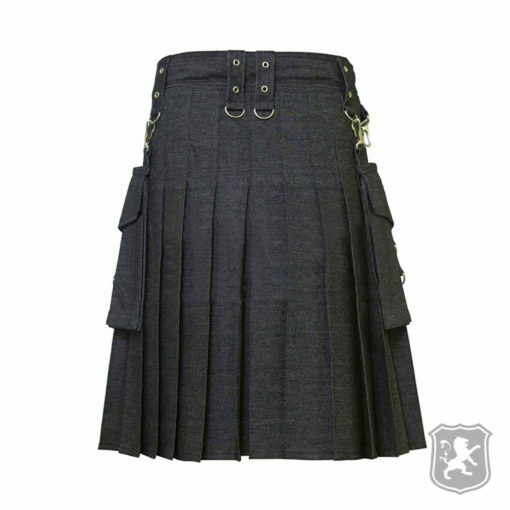 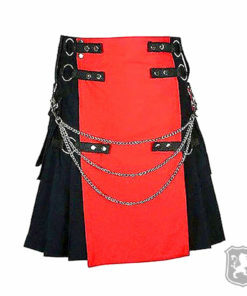 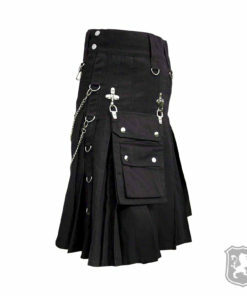 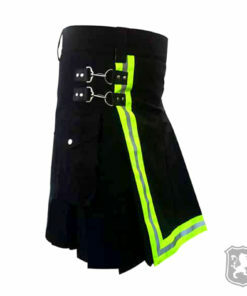 These detachable pockets are attached using the chrome hooks on the side of the kilt. 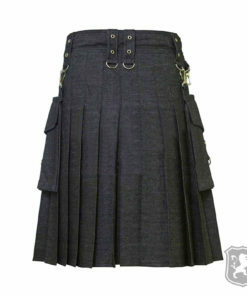 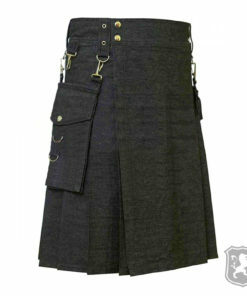 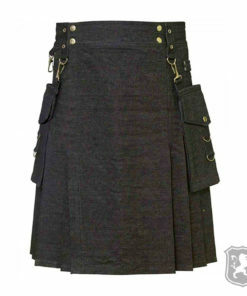 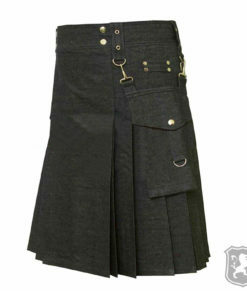 On the front of the kilt you will see that it is plain and simple with apron made out of denim material. 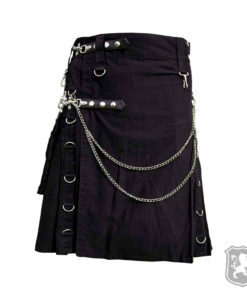 The belt holders has chrome holes for decoration purposes only. 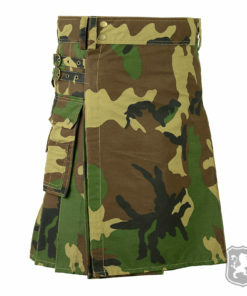 On the side, you will see that it has two detachable flap pockets that can easily store all of your necessary stuff. 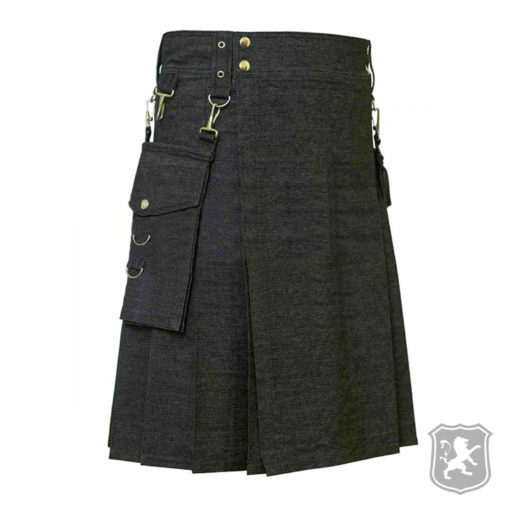 These pockets are detachable which means that its up to you if you want them with your kilt or not. 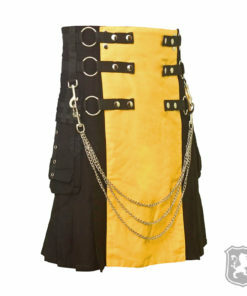 5 out of 5 stars. 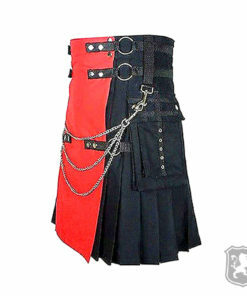 Product is exactly as shown. 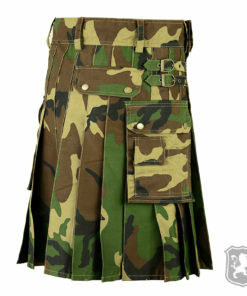 Fits exactly as suggested. 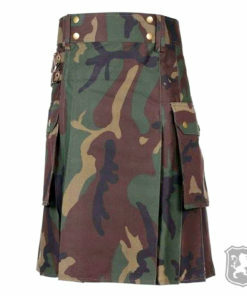 Good quality fabric.